Originally, Lois Smith Douglas Murray Strain set out to write the entire history of Baylor University. 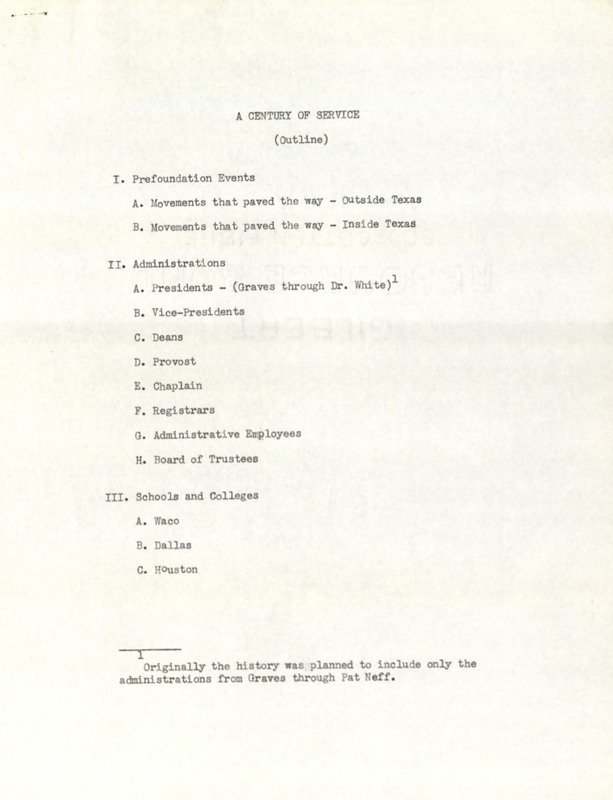 Only the first volume of a projected two-volume set was ever completed, the book “Baylor at Independence.” This is the first page of an outline for the never-completed second book “A Century of Service.” You’ll find this item in the Lois Smith Douglas Murray Strain papers #4038 at The Texas Collection, Baylor University. Lois Smith Douglas Murray Strain papers (#4038): Contains materials relating to Strain’s life and work as a Baylor University faculty member for over 40 years and her book Baylor at Independence. BU Records: Baylor Student Education Association (#BU/398): Includes scrapbooks that document the Baylor Student Education Association activities and events from the 1980s through the early 2000s. Ben and Avie Harrison Nail family papers (#4011): Photographs, newspaper clippings, high school materials, and funeral books on Ben and Avie Harrison Nail and their family. Jackson, A. P. Oklahoma! Politically and Topographically Described: History and Guide to the Indian Territory. Biographical Sketches of Capt. D.L. Payne, W.L. Couch, W.H. Osborn, and Others. Kansas City, MO: Ramsey, Millett & Hudson, . Print. 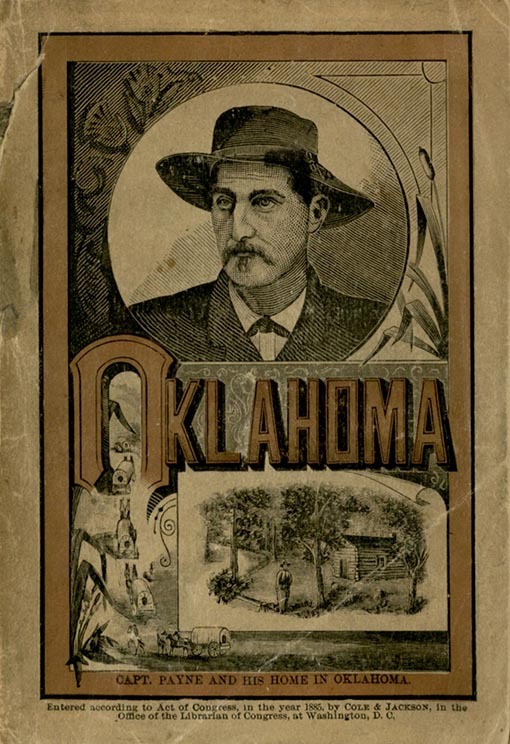 At the time this volume was published, Oklahoma was still more than 20 years away from becoming a state. Described within is the history of the territory as well as information for potential settlers. The volume also contains many illustrations depicting natural resources, Native Americans, and prominent citizens. Montana: Exhibit at the World’s Fair and a Description of the Various Resources of the State: Mining, Agricultural and Stock-growing. Butte, MT: Butte Inter Mountain Print, 1893. Print. 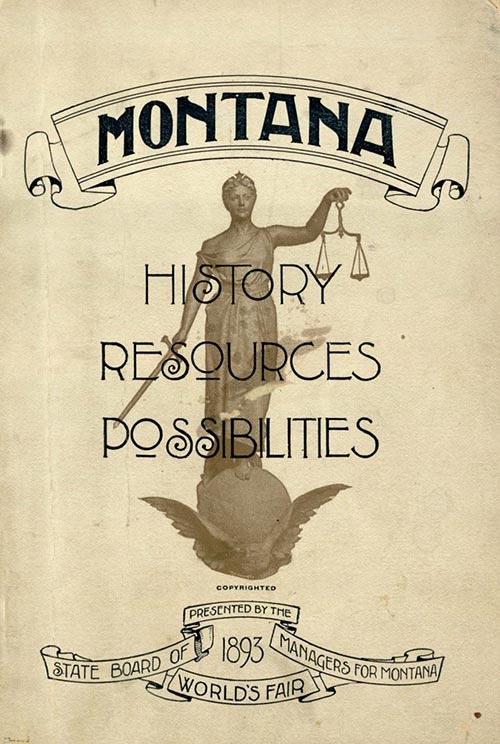 Prepared for the 1893 World’s Columbian Exposition, this volume entices people to Montana. Included is detailed information about the history, natural resources, and people of the state. 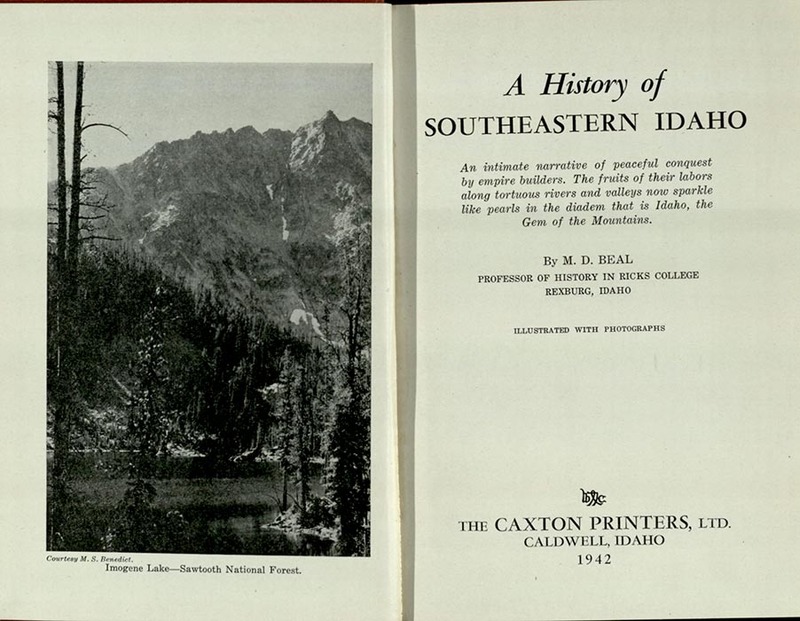 Beal, Merrill D. A History of Southeastern Idaho: an Intimate Narrative of Peaceful Conquest by Empire Builders. Caldwell, ID: Caxton Printers, 1942. Print. This expansive volume provides a history and description of Idaho and includes information on Native Americans, Mormons, trappers, and farmers. The volume also contains illustrations and bibliography, notes, and index sections.